Linda’s career started through a love of textiles; with her creating exclusive, luxury carpet designs for hotels, ships, leisure facilities and individuals. This creative love of design saw her go on to work on greeting cards, wrapping paper and stationery for the likes of Hallmark, John Lewis, Marks & Spencer and WH Smith. 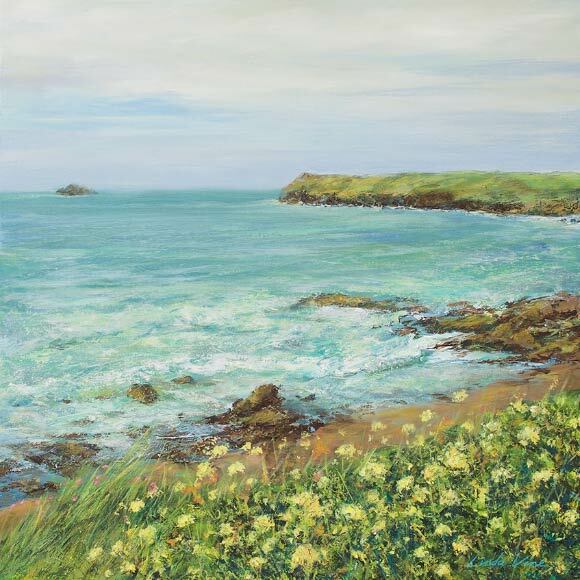 After setting up her own greetings card company, Linda’s passion for painting landscapes and seascapes came to the forefront, allowing a large scale, impressionistic style that can’t be expressed on an A5 card! With an immense sense of peace and tranquillity Linda has been inspired by the coastlines of Northumberland, through to Cornwall, and even Texas. Now settled in Durham, Linda Vine’s latest collection shows the absolute beauty of the North-East.